Dentures come to the rescue for those who have a number of their own teeth very little, or none at all. 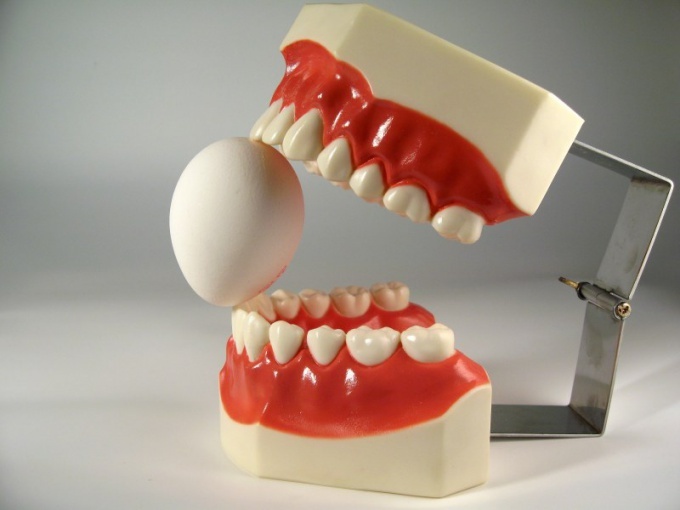 For removable dentures to properly care, including to store. Then they will last longer, will not harm your gums will not cause discomfort. After eating, the denture should be removed, and rinse your mouth with water or a special mouthwash. The denture should be thoroughly washed under running water. For cleansing, use soap. Never use cleaning solvents or other active substances – you'll ruin your product, have to order it again, but it's long and not too cheap. To dentures for a long time, regular use of tools for daily care containing active oxygen. This will help to clean the prosthesis, to destroy odor and to comply with all rules of hygiene. You should clean the prosthesis from food debris using a soft toothbrush, put in a glass of warm water tablet of cleaner and lower denture there for fifteen or twenty minutes. After that you should rinse the denture using clean tap water. Before sleep is best to remove dentures - gums need to rest. You need to remove the denture, wrapped in a clean handkerchief or cloth and clean in a specially designated box (plastic or cardboard). You can put it in a container with a special storage solution you recommend dentist. If you only made dentures, the first time, keep them clean, better in boiled water. The liquid should be changed daily to in it has not appeared harmful microorganisms. After one or two months, instead of water, use ready-made storage solution that is bought in the pharmacy. It is not recommended to use removable dentures for more than three or four years, as in the gums over time changes of atrophic character. Will either have to buy a new prosthesis, or to adjust old. With the weakening of fixation or the appearance of discomfort, you should immediately consult a doctor, then it is possible to quickly carry out correction of the prosthesis and to get rid of the discomfort.